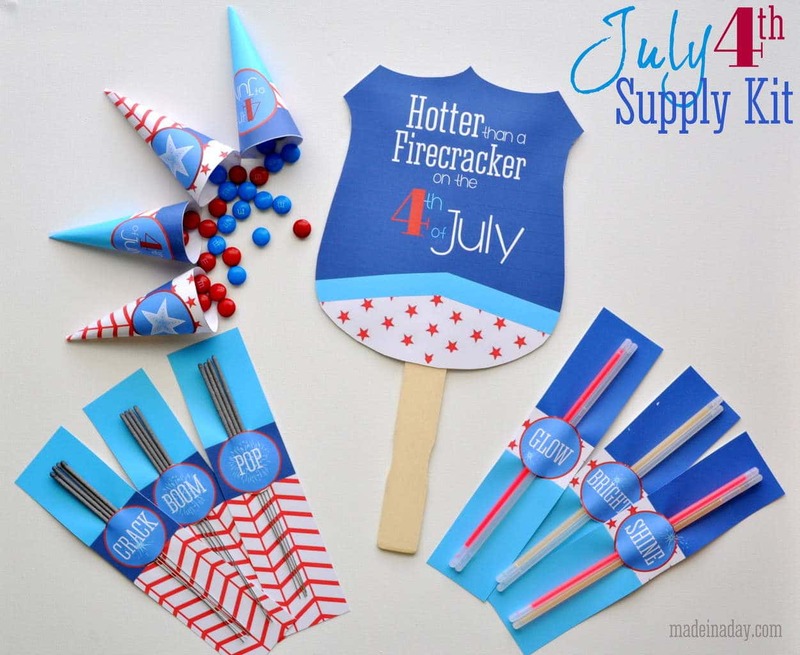 School is almost out and the 4th of July is just around the corner~ I made a series of patriotic crafts for you guys to enjoy! 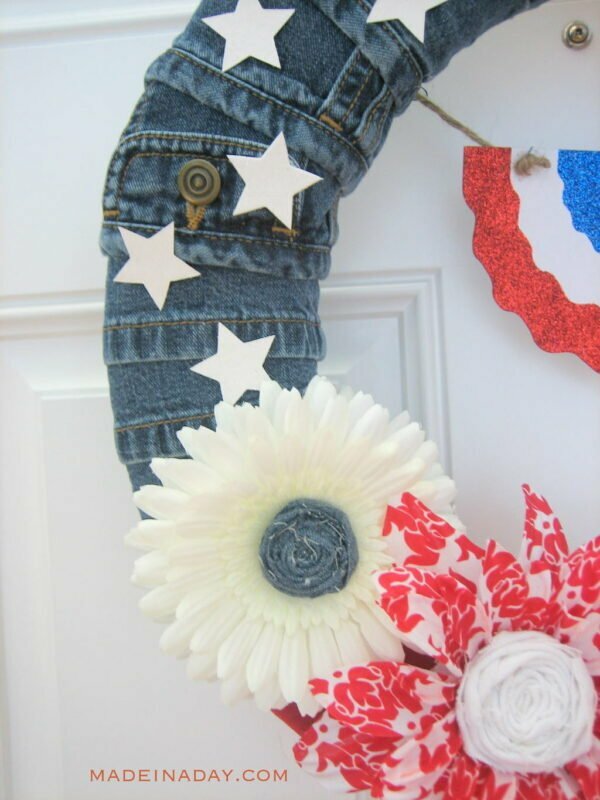 First up is my Denim Flag Wreath! I love making wreaths and finding unique items to make into them. So I started thinking about what materials to use…when I think of red white & blue, my thoughts automatically went to denim. What could be more American than Blue Jeans?!! So here is my cute version made from a pair of shorts and some old thrift store jeans! 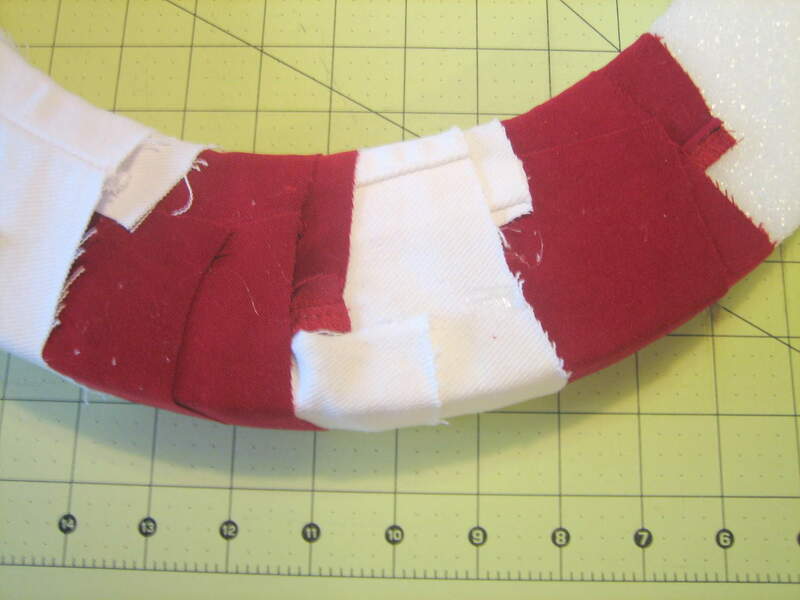 Using your rotary cutter and cut all three jeans up into 3 inch wide strips. I cut the shorts across the pockets so I could use them for added texture and design. The jeans I just cut up one leg of each. 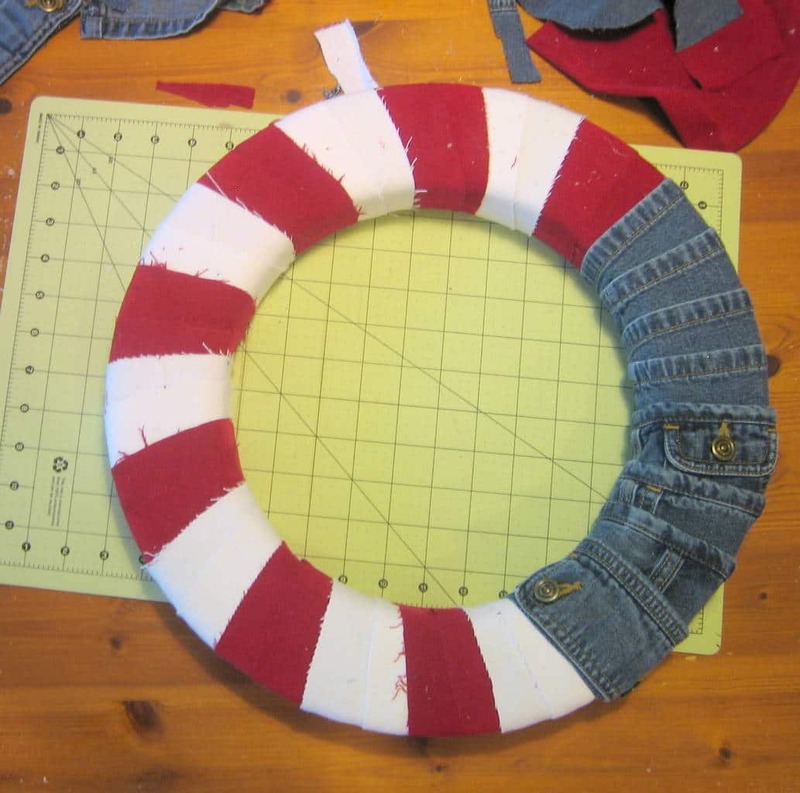 Start wrapping your red and white stripes around the Styrofoam wreath, make sure you make the stripes equal distance apart and hot glue. 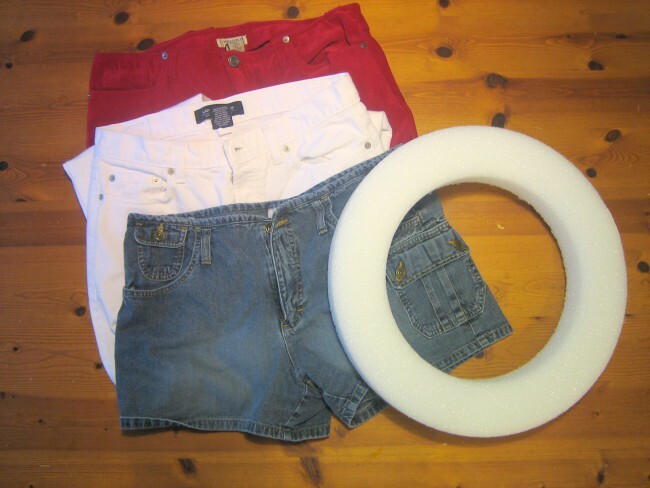 Next wrap the blue denim shorts around using the pockets and belt loops for the blue design area. For the flowers I pulled apart the silk flowers and added a fabric wrapped rosette flowers made from the denim to the center for a more handmade look. Hot glue them back together and add them to the wreath. 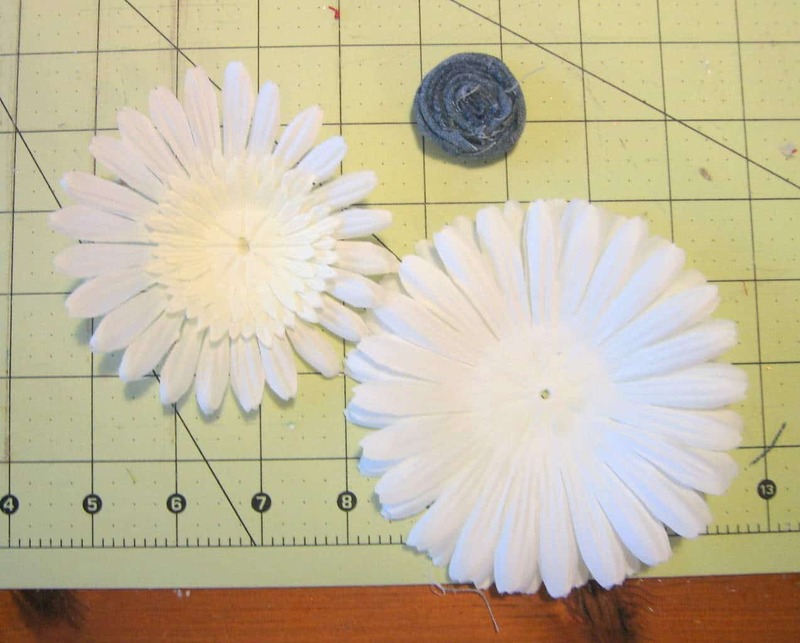 For the tutorial on how to make fabric flowers check out my Spring Wreath Tutorial. I took twine and hot glued it in a spiral pattern and added it to the center of the blue flower. Add a cute little red white & blue paper banner and some single glittered stars to the blue denim and that’s it!! Soo cute & easy! This is such a clever upcycle! I actually have a white and a red pair of jeans that don’t fit me anymore. I could totally use them on this instead letting them continue to take up space in my dresser. Lol. Thanks for the awesome idea! WOW 52 comments! This was one popular post, Kim! Congrats! Your post was one of the top picks selected from our Bowdabra Designers in the Crafty Showcase! We appreciate you sharing your wreath! We loved it! 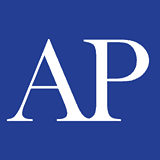 We will give you a shout out on our Facebook, Twitter and Pinterest accounts today. Have a super weekend and we hope that you will stop back in and share with us starting Saturday morning! Hi Kim, I love anything made with denim, and your wreath is super cute! I just linked over to your tutorial from Crafts ‘n Coffee. Thanks for sharing! 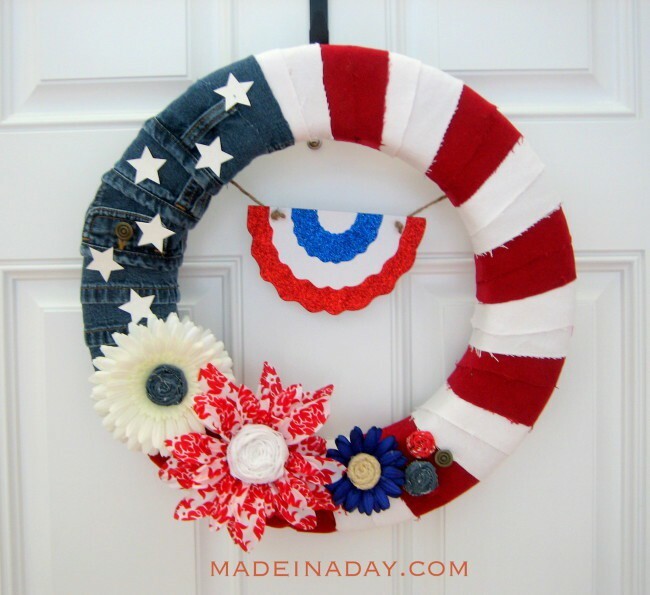 Usually I’m not a wreath girl, but I love the idea of using denim. You’re right, it just seems perfect for 4th of July! I finally got around to making an ‘I’ve Been Featured’ button if you would like to use it on your blog; however there is no obligation to do so. Thanks for linking up with me on Wow Us Wednesday! I absolutely love your wreath! It has been featured for Functional Friday! Thanks so much for linking this project up on Tuesday’s Tidbits! I’m featuring on this week’s party! Hop on over and share something on this week’s party! I love wreaths. This is so creative. Love the use of colors & texture from jeans!! Very cool!! This is fabulous, & what’s more patriotic & all-American than “jeans!” I may have to copy….lol! That is stunning! Thanks so much for sharing your talents at my weekly Say G’Day Saturday Linky Party. Hope you can join in again this weekend! This is so cute, Kim! I’m featuring you tomorrow on DailyDoItYourself.com! Thanks for linking up to my personal site this past week, too! Thank you for sharing this at The DIY Dreamer… From Dream To Reality! Can’t wait to see what you link up this evening! I featured this today at Mod Mix Monday! So cute!!!! 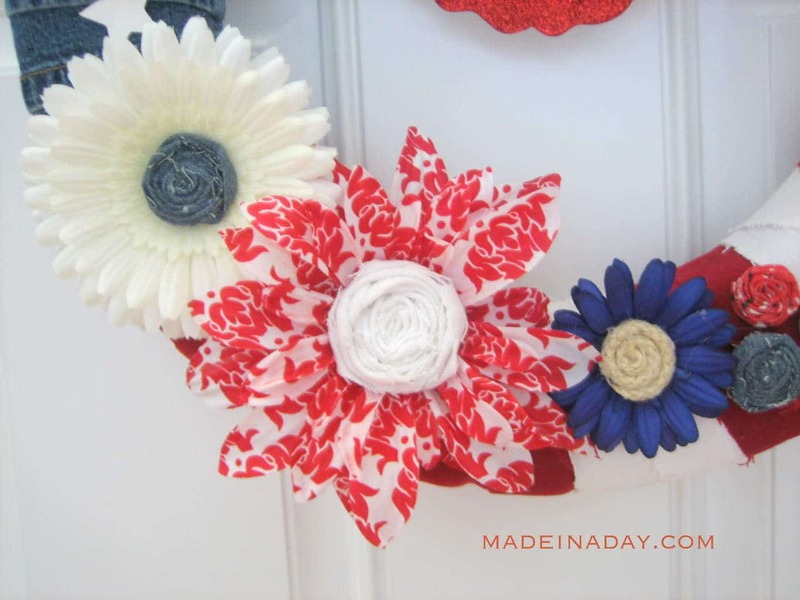 This is one of the best 4th of July Wreath Projects I have seen. I hope you will link up to my Patriotic Project Parade! I just adore everything about this! I am featuring it on this week’s Pink Hippo Party! I love this. I need to pin it! Thanks for linking up. Very cute and creative! I never would have thought to use denim! You may have sparked some new ideas for me now! How nice! Love the use of denim.. Thanks for linking up at friday fun party.. I am pinning this! Very cute wreath!! I love how you used red, white and blue denim jeans. Stopping by from delicateConstruction linky party. Thanks for linking with me on Wow us Wednesday! Love this so much! This is so cute and creative. Love for you to share it at my linky party! This is so clever & “patriotically” cute! Thanks for sharing! Really gorgeous, I love the jeans on there, it looks great! Thanks for sharing! OMG! I LOVE this wreath! Using denim was a genius idea! Ive seen the felt version of this wreath and yours is SO much cuter! I love it! Ok, that is sooo cute! Perfect for the 4th of July. Thanks for sharing at Terrific Tuesdays. Love it, it looks AWESOME! What a great idea! I love this and how you used demin!! I wish I would have seen this earlier, I was wanting to do a flag wreath but couldn’t decide on what to do it with. I love it!!! Very creative. This is a great wreath. 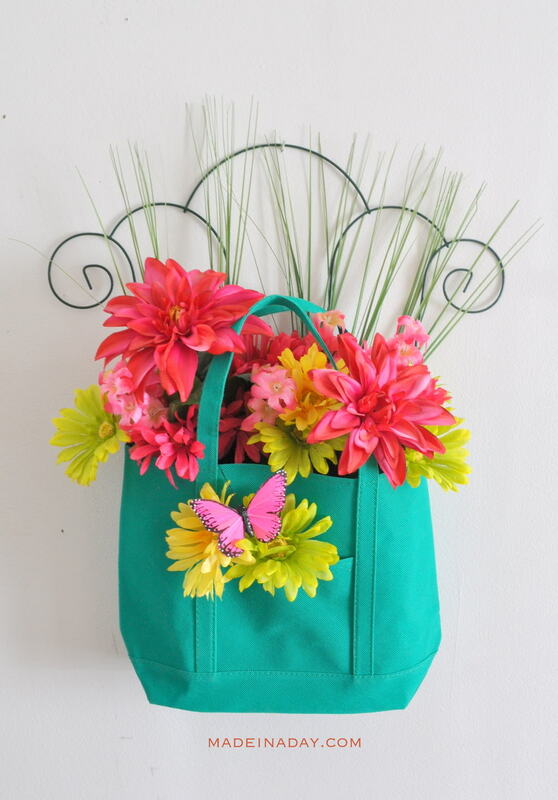 I love the color and great use of upcycling. Have a great day.